If you haven’t heard of LinkedIn or you haven’t signed-up yet, where have you been? LinkedIn has been around for quite awhile and has been mainstream for many years now. LinkedIn was described to me by Terry Bean of Motor City Connect as “your online business card”. It’s a great online network for making business connections and posting your basic business related information for others to find. 5. Perform blind, “reverse,” and company reference checks. 8. Gauge the health of an industry. Can you tell the four that I like the best? LinkedIn was described to me by Terry Bean with Motor City Connect as your online business card. It’s a way to get the stats of your company out there, what you’re doing, links to your websites, and a quick bio on yourself. This is good for people trying to find you and for people looking to make connections with what you’re doing. Search Engine Results – This is all fine but it doesn’t work well if no one can find you, does it? Well, LinkedIn is always ranked high in Google. 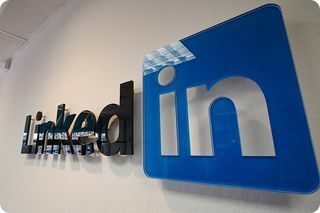 You will find that once you start a LinkedIn account, it will be on the first page (if you have a lot of content out there) or will most likely be the first result found. What does this mean for your sites that you put on LinkedIn? PageRank increase – LinkedIn has such a high ranking in Google that when you put your website on there with relevant content, it will get a boost in ranking. This alone is not going to take your site from being listed on the 10th page of a search on Google to the first, but it will help. It also helps if you have good relevant information on your profile for what you want people to find you for and what your website is about. A complete profile helps people find you – Your profile is very important to fill out and very important to have a photo. People like to see who they’re networking with and it will help to make more connections on people you have met before. Your Summary should be a good summary of your experience and what you’re doing. You can add some keywords in here that you want ranked high on Google but make it mostly about the content. The specialties area is a great place to put your keywords that explain your business and that people would search for to find you. How to Use LinkedIn -LinkedIn is a great place to make connections. Seek out old classmates, colleagues, and friends using the search tool and add them to your network. Completing your bio will also help people find you and get recommended to you. As your network grows, you will be able to search through and meet new people in your industry or an industry you want to go to. It’s a great place for making an introduction. LinkedIn Answers – Answers are a great place to ask questions and read good content but they are most importantly good for you answering the questions. This helps raise your visibility and will help you be seen as an expert in your area. When you get signed up for LinkedIn (or if you are already), check out my profile Jared Pomranky and add me to your network. I hope this helps you out a little in figuring out LinkedIn. Great blog with excellent advice. Thanks Jerry. Looking at profiles now, I feel that most people just need to complete their profile. Fill out everything and add a photo. The basics do wonders! Agreed. Hey take a look at mt site. I am just starting the SEO. I would appreciate your thoughts.